Warm White in color, the pictures below demonstrates the white version. 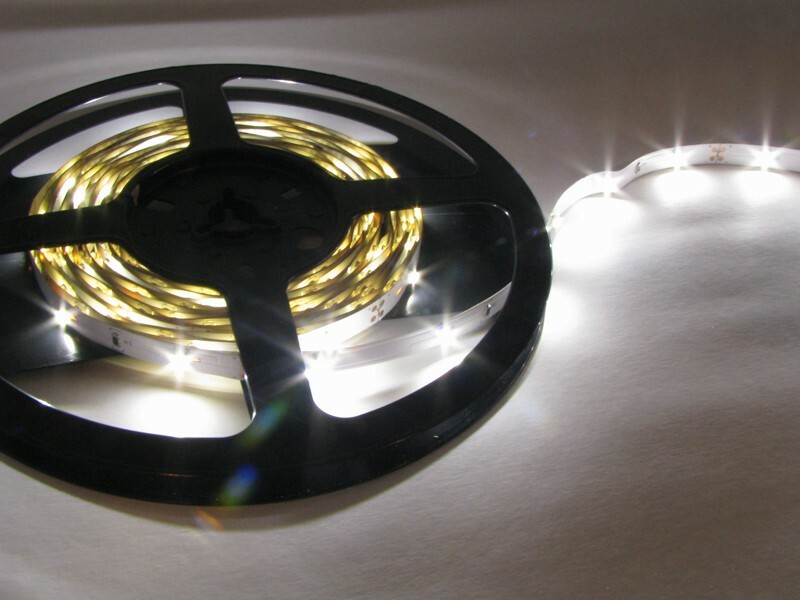 These five meter Warm White LED Strip Light can be mounted under the nose of your stairs for a hidden lighting look. 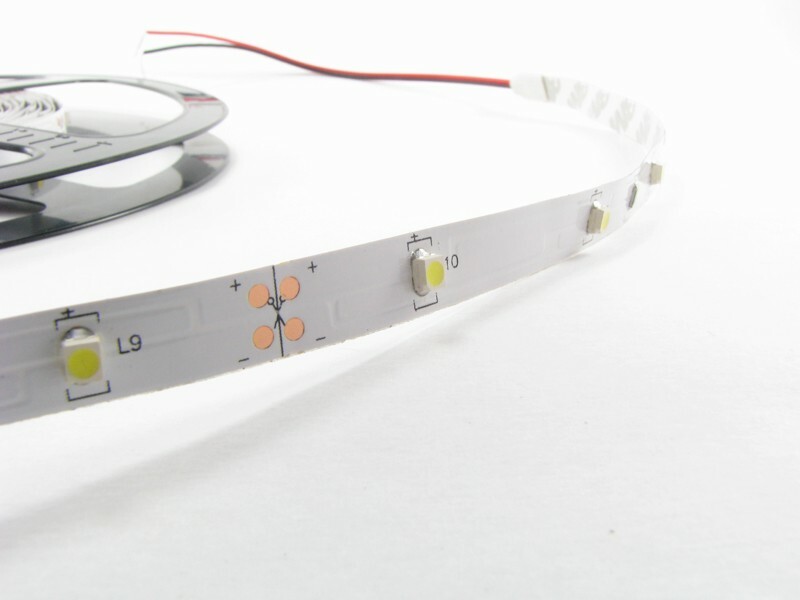 The strips have 150 surface mount lights in one long strip. 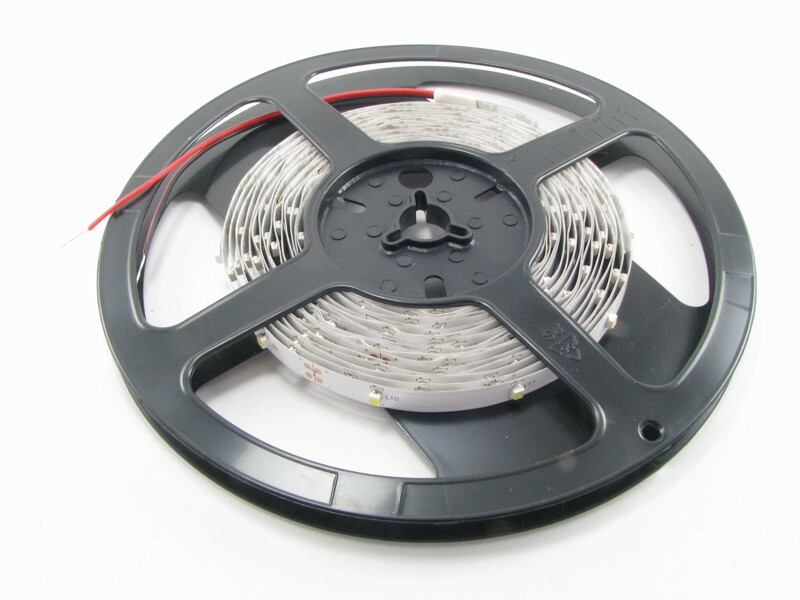 The LED strip has wire leads on one end. It can also be cut anywhere in 3 LED sections (10cm long). 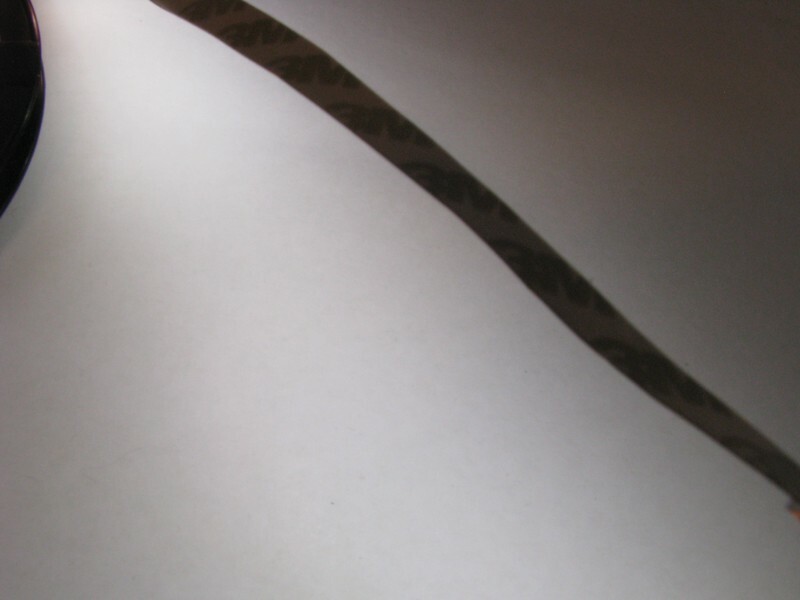 For example if you need a strip that is approximately 2 feet long (60cm) you would cut it on the cut mark at the 60cm mark and either solder some wire leads to the strip or use a strip light connector. The light output is uniform without hotspots as long as the lights are spaced 1.5 inches or more from the lighted surface. The back of the strip is a peel and stick to allow it to be installed easily. They operate on 12 volts DC and have a current rating of 800mA for the entire strip. Power consumption of the entire strip is 9.6 Watts. Each cuttable section is 10cm long and has a current rating of 16mA. Power consumption of each 10cm section is 0.2 Watts. To calculate the wattage of a partial strip multiply the number of sections you use by the wattage per section. For example if you are using 40cm strips you would calculate the wattage of the 40cm strip like this. This means that each of the 40cm strips would consume 0.8 Watts. 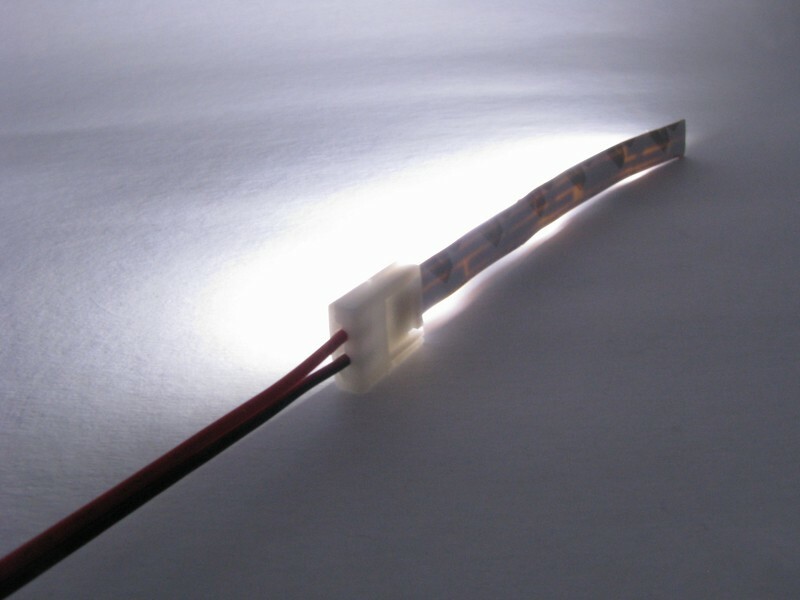 This strip light is 8mm (0.32") wide, 2.1mm (0.1") thick and 5M (16.4 feet) long.